The 2019 Festival will be held on September 28 and 29. Applications for Healing Arts exhibitors are now available and must be submitted by May 1. Use the form below to get in touch with Janet, the Organizer, with any questions or comments. Our local North Quabbin region Healing Arts Practitioners are here to provide and promote alternative health care choices for you. Don’t miss this opportunity to sooth and nourish your body, mind and spirit. Phoebe or Zoe Burch, Burch Girls Lip Balm, Petersham, MA – Homemade local lip balms and eye pillows. Heidi Hagan, LCMT, Peaceful Moments Therapeutic Massage, Gardner, MA – Massage therapy, chair massage, and foot reflexology. 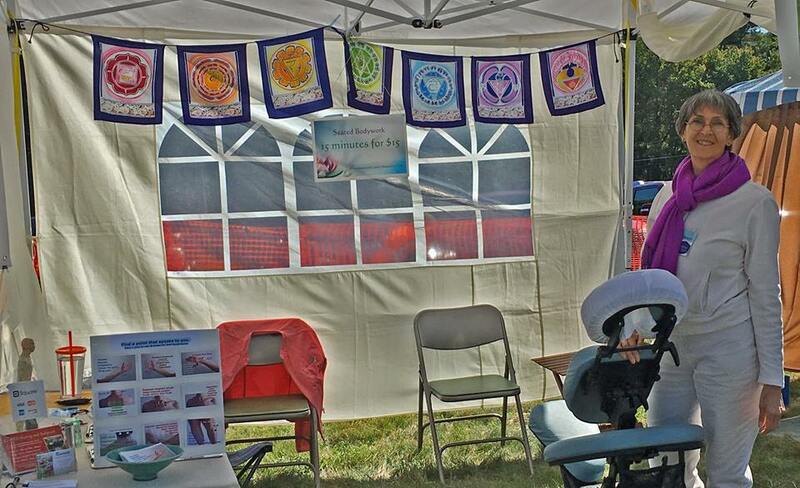 Janet Masucci, Riverside Healing and Bodywork, Gill, MA – Integrative Acupressure and Integrative Positional Therapy. Shunji Shiatsu Massage, Wendell, MA – Massage based on Traditional Chinese Medicine by Shunji or Lena Morimoto. Karen Traub, Karen Traub Integrative Acupressure Healing, Shutesbury, MA – Specializing in the treatment of pain, anxiety and addiction recovery.